This is a real quick post 'cause I HAVE to go to bed! But it's almost the end of the month so I really wanted to share this with you before it's too late. 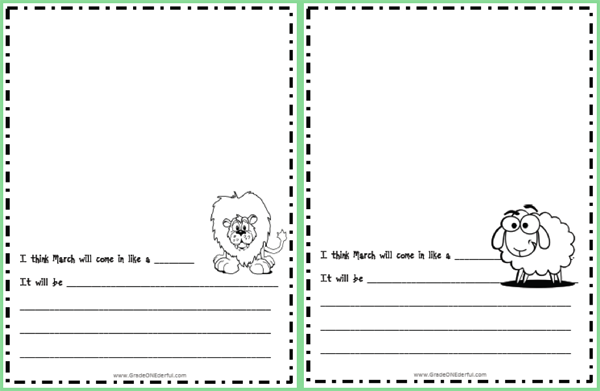 I have a free package of "In Like a Lion, Out Like a Lamb" prediction activities. 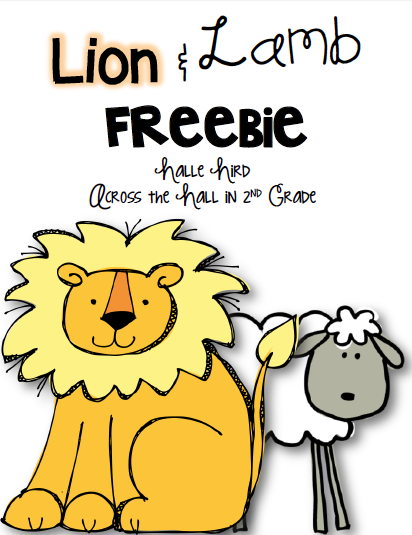 In this mini package you'll find a cool Lion/Lamb craft (idea from Scholastic.com). There's a copy of a story that would be fun to dramatize with the kids (this is a Scholastic freebie). We did it today and it was SO much fun. The kids really loved it! And the two prediction papers below. As I was roaming around I came across this very cute FREE graphing activity from Halle at "Across the Hall in 2nd Grade". If you click on her image it will take you to her TpT store where you can grab it. Be sure to leave her some positive feedback! Wait! There's more. I just found this in my google drive files. We're going to do this on Friday. It's an oldie but a goodie from an old Mailbox issue. 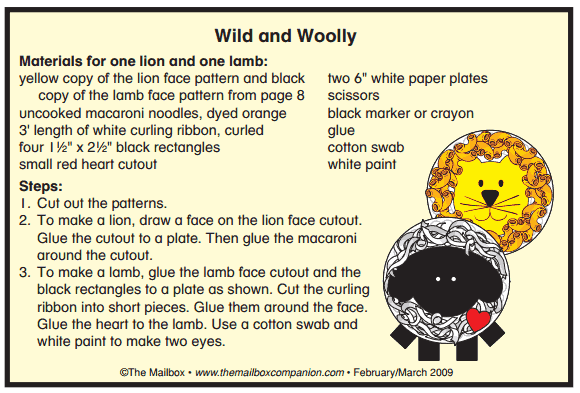 PS You can find more LION & LAMB activities here. How wonderfully adorable! What a fun way to bring idioms ... or is it a cliche? ... to life. Thanks for sharing. Thanks for this wonderful freebie! Local weather looks like March will be coming in like a lion. Just so long as it turns lamb-like by Spring Break! So cute! 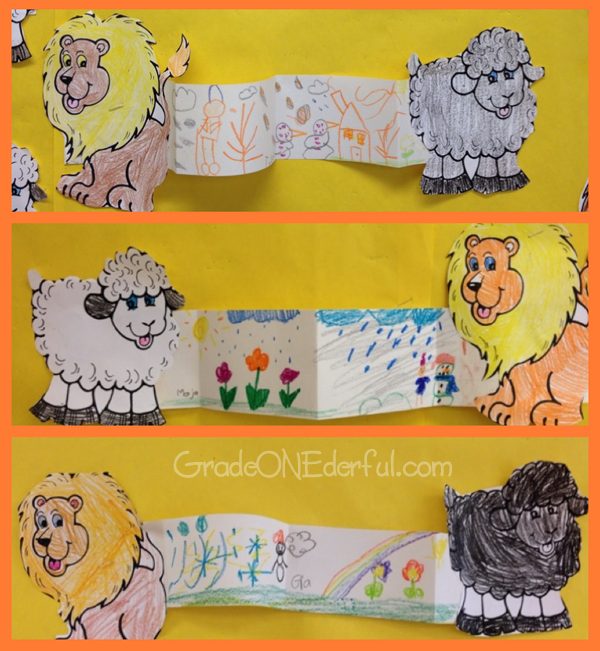 We aren't in March yet, but lately it has been like a lion around here! It's supposed to be raining all week. I'd say March will definitely be coming in like a lion. Of course, cute stuff here Barb! March definitely came in like a lion here! Thanks for the freebie. It's a perfect start to my weather unit. I can't wait to put them up on a bulletin board. It will look so cute! where can I get the lion and lamb craft that is at the top of your page? Can't find a link to get it! Thanks in advance it is SO cute! Glad you like it:). If you click on the second image from the top you can download it from google drive. I just checked the link and it works fine. I did all these activities again this year and they were so much fun! 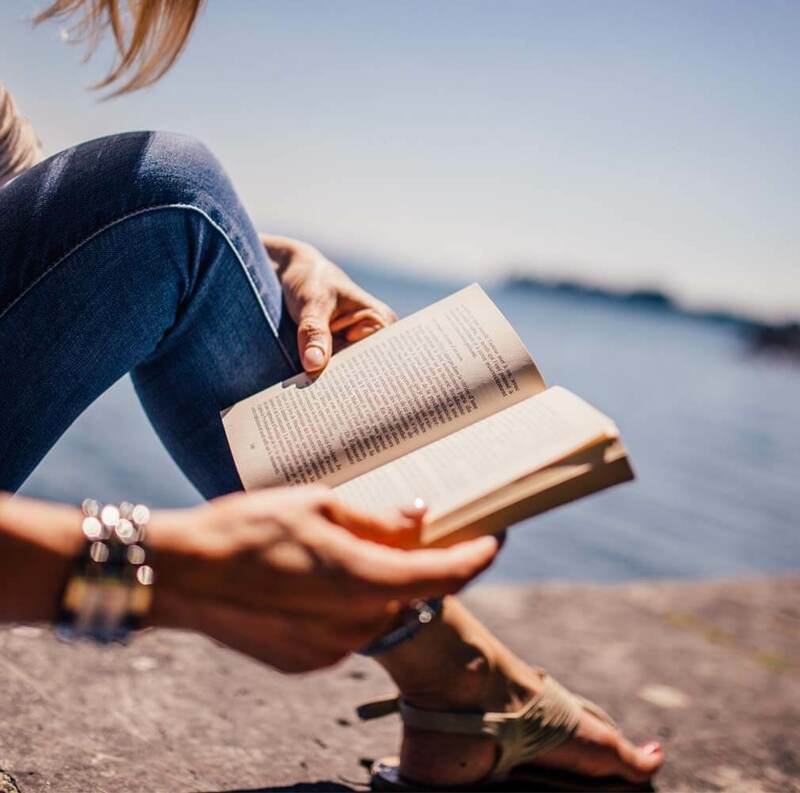 I have the same question as Brooke Kelly, when I click on it I get a printable but it isn't the same clip art/images as the project that is shown. Do you have the templates from the project that is shown in the first picture? Thanks for the cute ideas! Okay, I've fixed everything to make it easier. If you click on the first or second picture you'll get the package in google drive. There's a template for the lion and lamb, plus some directions. There are also two writing sheets and a little drama activity. Hi Barb, I did see all of that, it just isn't the same clip art as what is showing...I was hoping for those exact pictures that you used that the project shows in the picture! Thanks for your help! Oh, you're right, Megan! I didn't even notice that. Sorry, I'm not sure where I got the lion and lamb that's showing in the pic. Good luck with your project! You know what? I did some searching and realize I got it from Scholastic a few years ago when it was free. They have a clipart store but you have to pay a monthly fee now.